← Does God Care Who Wins the Super Bowl? 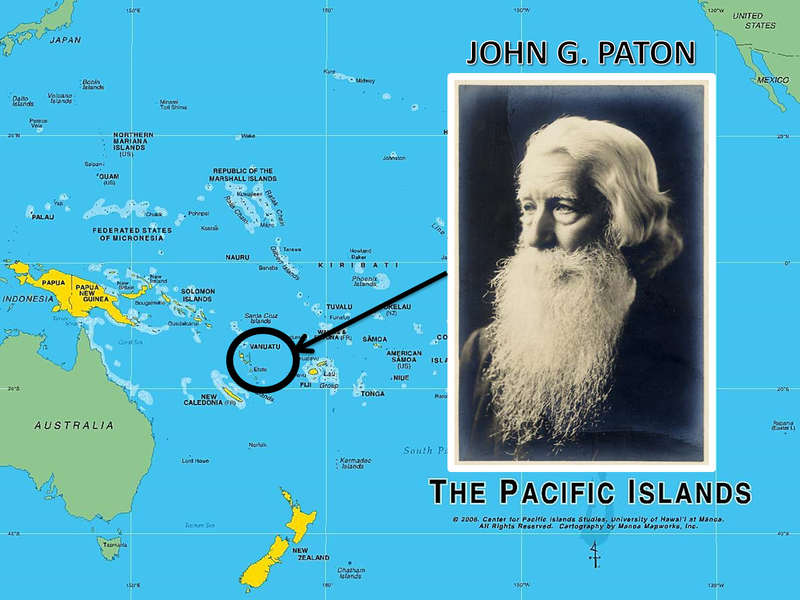 John G. Paton was a missionary to the New Hebrides Islands, a chain of islands 1200 miles east of Australia and known today as Vanuatu. “Survivor” fans will remember that one of its seasons was filled on Vanuatu. Paton and his wife Mary arrived on the island of Tanna on November 5, 1858. 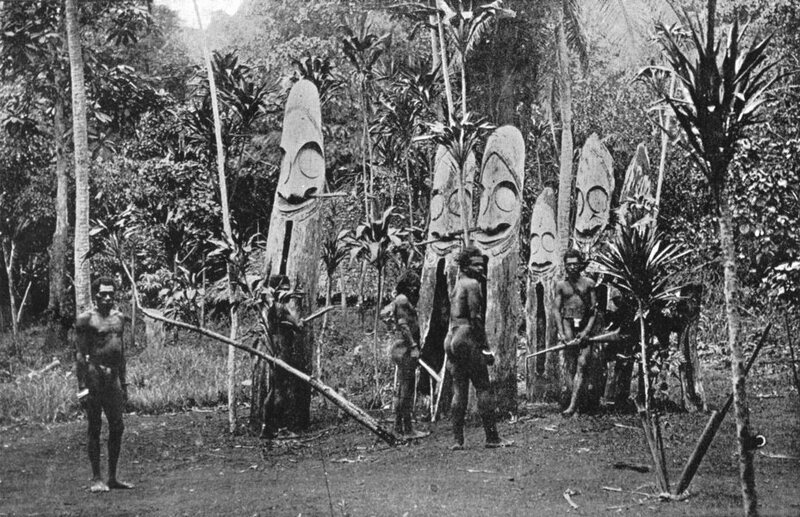 At that time the natives on Tanna were cannibals. In his diary Paton records the dangers this posed for him and his family. One of the most terrifying experiences took place early on, shortly after their ship deposited them on the beach all by themselves. Paton and his wife quickly built a cabin in which to live. But the natives made it clear that they did not want the missionaries on their island. So one night they surrounded their home intending to burn it to the ground with them inside. With no one to turn to but the Lord Himself, the two missionaries fell to their knees and spent the entire night praying for God’s protection. When daylight dawned, they peeked out the window and were amazed. Not a single cannibal was in sight! They had all returned to their village. One year later, by God’s grace, Paton led the chief of the tribe to commit his life to Jesus Christ. Still curious about that night, Paton took the opportunity to ask him. “What kept you from burning our cabin to the ground?” “It was the men with you!” the chief explained. “What men?” Paton asked. 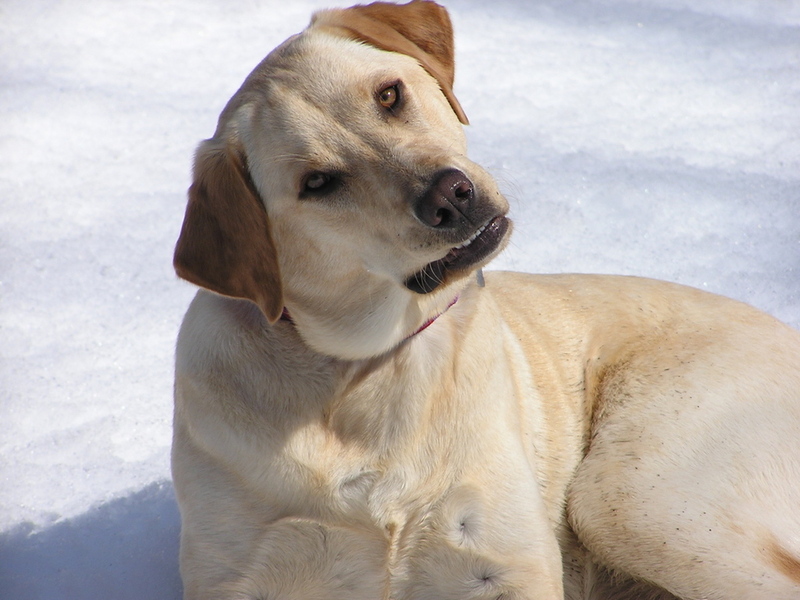 “We didn’t have anyone with us.” “Oh, yes, you did!” the chief argued. “We saw hundreds of big men in shining garments with swords standing guard in front of your home. That is why we didn’t attack. We were afraid for our lives?” I wonder. Who were those big men in shining garments standing guard around Paton and his wife? One more example: this time from the Battle of Britain. In the early days of World War II, Hitler and the German high command ordered the Luftwaffe with its fighters and bombers to cross the English Channel and destroy the British military infrastructure. They bombed their railroads, their airfields, their factories, their shipping centers. But by the grace of God, the Royal Air Force managed to survive that 3-month long battle, making the Battle of Britain the first great turning-point in the War for the Allies. How did they do it? Air Chief Marshall Hugh Dowding gave his explanation at a celebration in his honor at the end of the war. He described his pitifully small complement of men and how rarely they slept. Yet they kept on flying. He told about pilots who were also hit and left incapacitated. Some of them were even killed. Yet their planes kept on flying and fighting! In fact, he said in some cases, airmen in nearby planes saw figures still operating the controls even after the pilots had died. 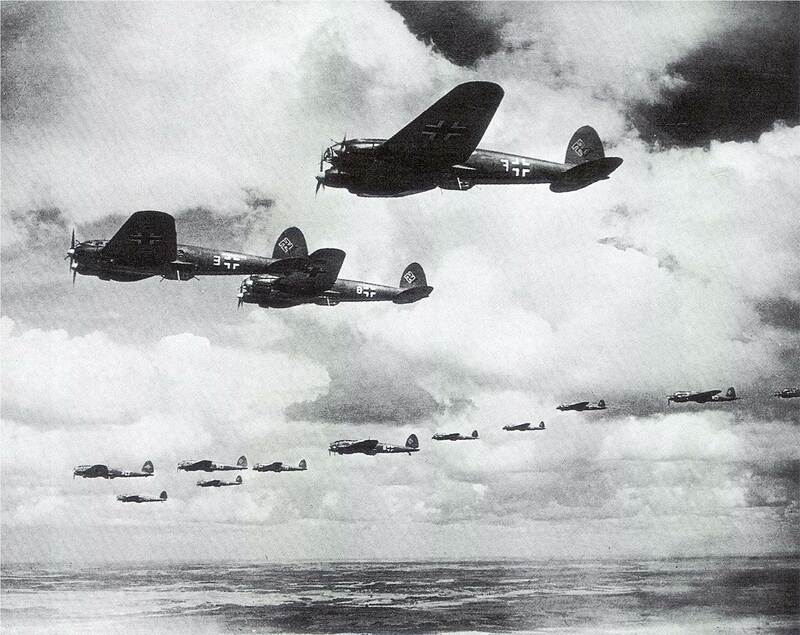 Who kept those planes aloft and helped the British win that crucial battle? Dowding was convinced that God has sent His holy angels to fly those planes and stop the advance of Hitler’s forces. Is that possible! Not only is it possible; it has been the reality many, many times even when we haven’t been able to see them with our eyes. 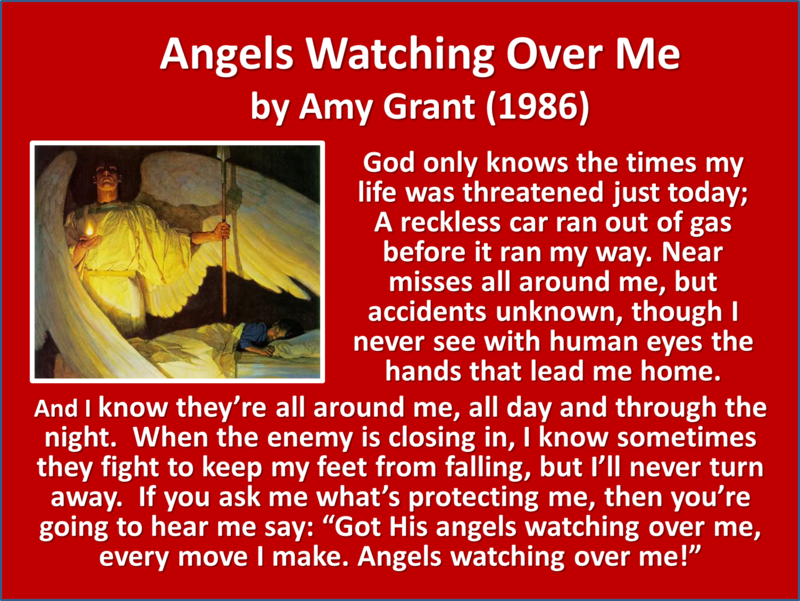 God’s angels are at work guarding and guiding those of us who love Christ. Hebrews 1:14 calls them “ministering spirits sent to serve those who will inherit salvation.” Or as Billy Graham put it in the title of one of his books, they are “God’s secret agents” sent to help His children in time of need. That’s my topic as we come to Daniel chapter 10. Daniel has been helped by angels several times in this book. So before we come to the end of his prophecy (and there are just 3 chapters remaining), I want to address the topic of angels from a Biblical position, because there is a great deal of confusion about angels in the world around us, and I do not want any of us to be led astray. For that reason, let me explain 3 important facts that each one of us needs to understand about angels. In this post I will address the reality of angels. Then in the next two posts, I will focus on the nature and ministry of angels. When I was a boy, almost no one talked about angels. I remember asking my parents when I was 6 or 7 years old, “Is there such a thing as the devi? And what about angels? 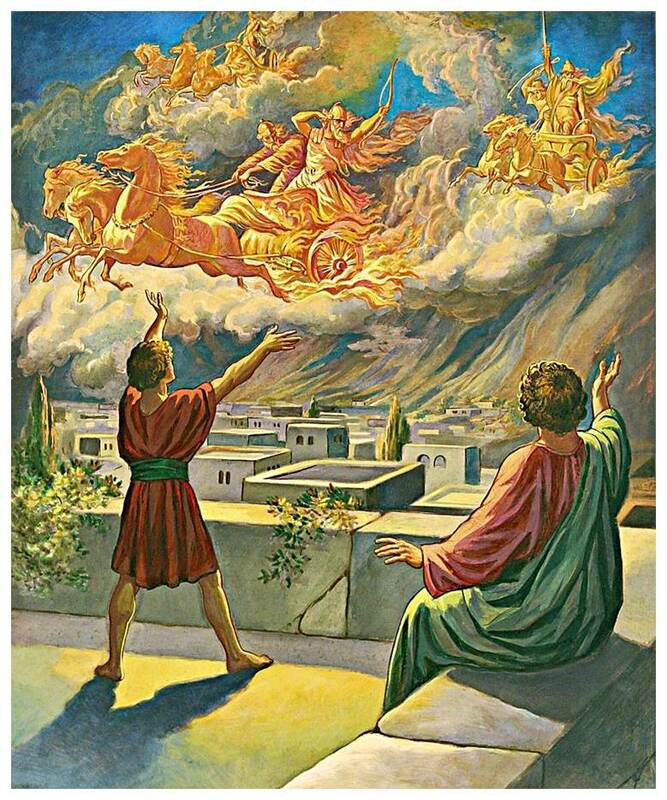 Are they real or not?” My parents were devoted church members who took us to Sunday School every weekend. But their answer was: “No. They are simply symbols of the good and bad inside each one of us.” Because that was the scientific age when if you couldn’t see it, hear it, or feel it, it wasn’t real. But today we find people at both extremes: those whose faith is still in science as well as those who call themselves spiritual and are in touch with all sorts of spirits. Where am I on that continuum? I believe in angels, not because of what I or others have experienced, though I believe that my family and I have been the recipients of angelic help on several occasions . But there is a danger in seeking an encounter with angels. Seeking is the key word, by the way. 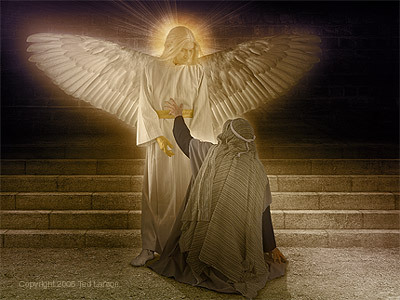 The danger in seeking an encounter with angels is that you could meet the wrong kind of angel who appears as an angel of light and leads you away from the God of the Bible. I believe in angels first and foremost of all, then, because God’s Word says there are angels. 34 of the 69 books of the Bible mention angels – 108 times in the Old Testament and 165 times in the New Testament. The Lord Jesus spoke with great authority on this subject. For example, when Judas came with the Jewish rulers came to arrest Him, Jesus ordered His disciples to put away their swords, saying to them, “Do you think that I cannot appeal to My Father, and He will at once put at My disposal more than twelve legions of (72,000) angels?” (Matt. 26:53 NASB) On two critical occasions, Jesus Himself was also strengthened by angels – once following His temptation by the devil in the wilderness (Matt. 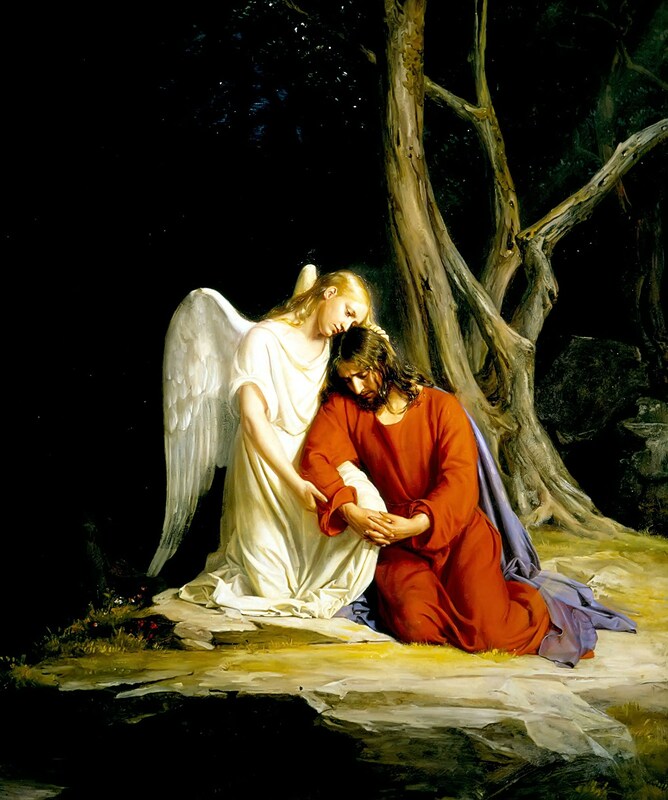 4:11) and again while praying in the Garden of Gethsemane (Luke 22:43). And yet, in spite of all that is written about angels in the Bible, the sad fact is how little clear teaching there is about them in the churches. Ask yourself: When was the last time I heard a message on angels? Let’s try to rectify that by examining what Daniel has to say about angels in chapter 10 of his prophecy. The angel standing before him was glorious. And yet, as we read on, we find that as impressive as he was, he has been in a great battle with an even stronger spirit, trying to deliver his message to Daniel. He explains that he tried to come sooner but the Prince of Persia resisted him for 21 days. Who was he referring to? A mighty fallen angel who had control over the King of Persia and his realm. We’ll take a closer look at what that means in our next study. But the main point here is that angels are real. They think. They communicate. They express emotion. They may even become visible to our eyes at times. 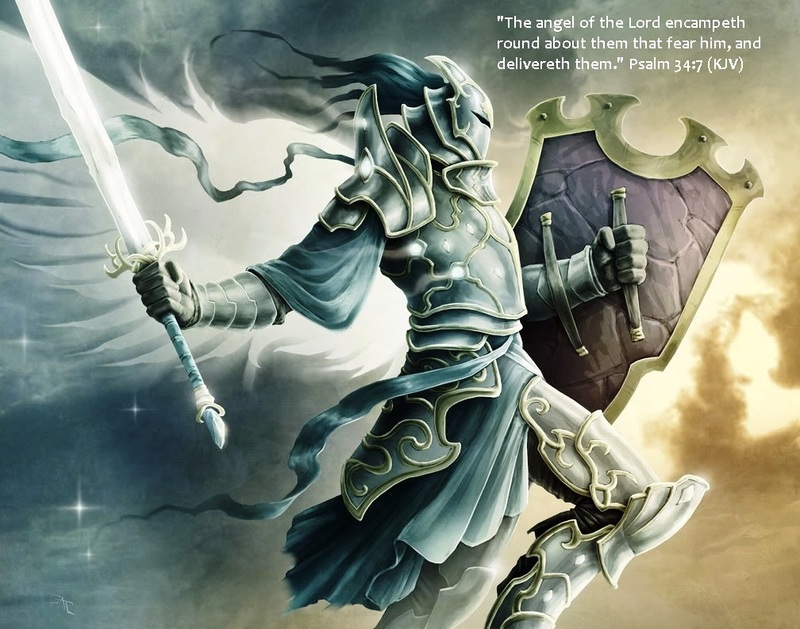 But whether we see them or not, there are angels all around us fighting spiritual battles on our behalf. The reason we cannot see them (I for one am glad we can’t. I already have enough to discourage me.) is because our eyes aren’t calibrated to see them. This entry was posted in Uncategorized and tagged Air Chief Marshall Hugh Dowding, angels, Bible, Daniel, Elisha the prophet, Jesus Christ, John G. Paton, Lord Jesus, Prophecy, Royal Air Force. Bookmark the permalink. 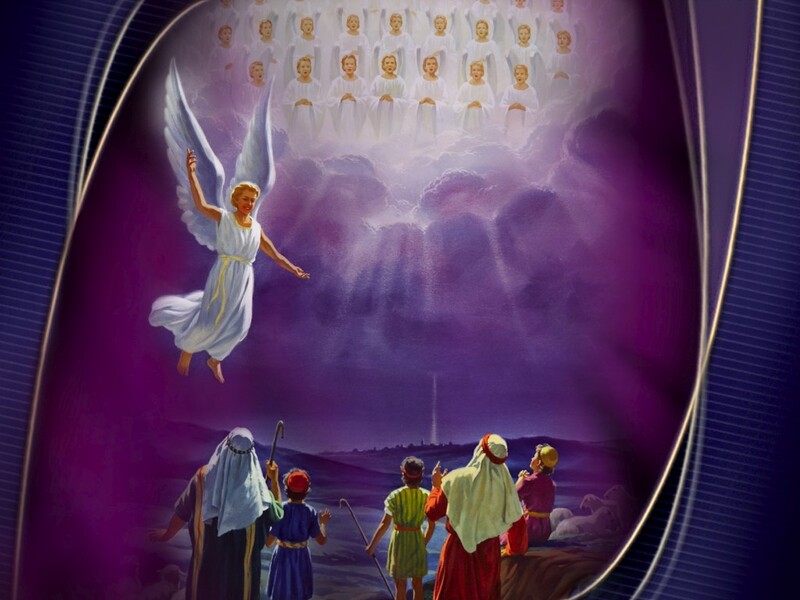 thank you Pastor this is so interesting – one of these days we will see angels face to face. thank you again, now for part two.